The Golden State Warriors will be without two key players tonight in their contest against the Orlando Magic. 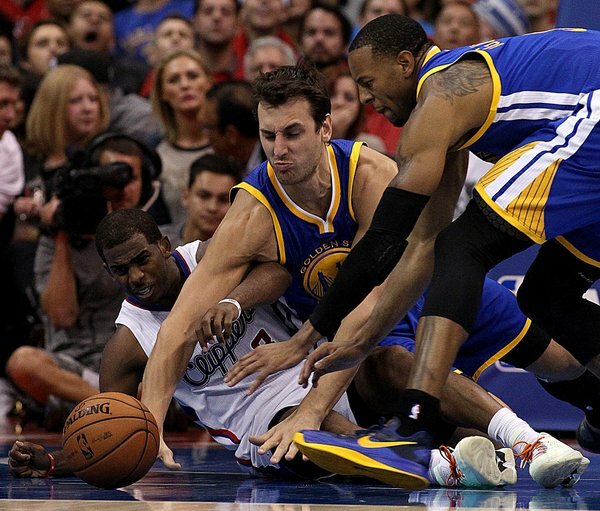 Andre Iguodala will be out of the lineup, and will also miss three games with knee tendinitis. Head coach Mark Jackson shared the news with Monte Poole of CSN Bay Area. Iguodala is averaging 9.3 points and 4.6 rebounds this season. Also worth noting, Andrew Bogut, averaging 7.8 points and 10.1 rebounds, will be absent tonight against Orlando with a tweaked ankle.